A work-related car accident might not be the first thing that comes to mind when you imagine receiving workers’ compensation benefits. However, if you were injured in a motor vehicle accident while working, you may be entitled to benefits from your employer. Part-time, full-time, temporary, and seasonal workers are eligible for worker’s compensation benefits under Georgia law, as long as their employer has three or more employees. Coverage begins on your first day of employment. Making deliveries for a company such as FedEx. Running an errand, such as picking up supplies or delivering a presentation to a client. Driving to attend a work-related conference for a company such as Emory University/Emory Healthcare. Working in a job where you travel constantly and have no fixed office. Traveling for another purpose compensated by your employer. 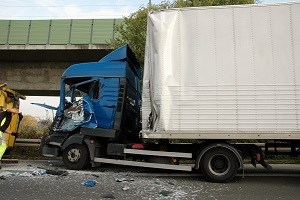 If an accident occurs where you’d normally be required to be off the clock, it’s not typically considered work-related. This includes car accidents occurring during travel from your home to the workplace or during a meal break. Workers’ compensation does not take fault into consideration, so you can still collect benefits even if you were determined to be at fault for the accident that caused your injuries. An exception to this rule would be if you were found to be driving while under the influence of drugs or alcohol. After a covered car accident, workers’ compensation benefits can be used to pay for the cost of your medical care. Once your emergency medical needs have been taken care of, you’ll need to choose a provider on your employer’s panel of physicians to oversee your treatment. If you’re left unable to work because of your injuries, you can seek income replacement benefits. When you’re unable to work at all, Temporary Total Disability (TTD) benefits pay a portion of your average weekly wage. When you’re working in a lower-paying job or have a reduced schedule due to your physical restrictions, Temporary Partial Disability (TPD) benefits pay part of the difference in your wages. Permanent Partial Disability (PPD) benefits are available when you’ve been left with a lasting disability from the accident, such a cognitive impairment due to a traumatic brain injury. PPD benefits can only be paid after you’re no longer receiving TTD or TPD benefits. Unfortunately, workers’ compensation will not pay for property damage if you were driving your own vehicle at the time of the accident. If you’re involved in a car accident that was work-related and caused by another driver, you may also be able to bring a personal injury claim against the driver at fault. In a personal injury case, you can be compensated for your medical expneses and lost wages, plus an additional amount for pain and suffering to cover both the physical pain and emotional trauma associated with the accident. When you receive both workers’ compensation and a personal injury settlement, workers’ compensation will have a lien on the personal injury funds you receive. This means that you may be responsible for repaying any workers’ compensation benefits you previously received out of your personal injury claim. However, an experienced attorney may be able to get the amount you have to pay back to the workers' compensation insurer reduced or eliminated altogether. Although you’re not required to retain an attorney to receive benefits, seeking legal representation can ensure that your case proceeds in a timely fashion. If you believe you might have a personal injury claim in addition to your workers’ compensation case, an attorney can help you determine the best way to proceed. Rechtman & Spevak’s attorneys have extensive experience helping injured Georgia workers receive the compensation they need to move forward with their lives. Contact us today to schedule a free, no-obligation initial case review.